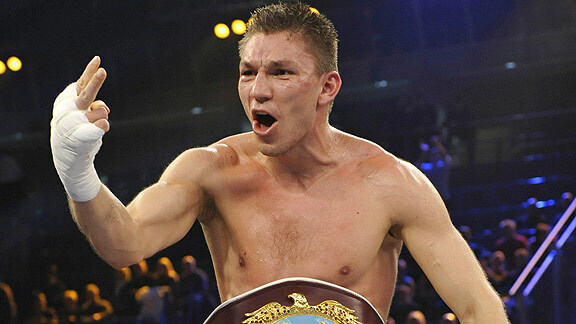 On the 26th of August, former WBO super middleweight champion Karoly Balzsay is attempting to become a champion again, clashing with Ukrainian Stas Kashtanov to battle it out for the vacant WBA super middleweight title. Actually this title belongs to Balzsay’s Universum BoxPromotion stable mate Dimitri Sartison but he suffered a bad knee injury in preparation of his originally planned unification bout with WBO king Robert Stieglitz which is going to see him not stepping in the ring for a long time. Therefore, the WBA decided to make its world title vacant, having their #1 and #2 in the rankings, Kashtanov and Balzsay, fighting for it on August 26 in Donetsk, Ukraine. This forthcoming championship is a new chance for Karoly Balzsay to show what he is made of after suffering the loss of his WBO title in his native Hungary at the hands of Robert Stieglitz about 2 years ago. His 26 year old opponent Kashtanov is known as dangerous body puncher, especially with his left hand. Therefore, Balzsay is expecting a heated competition on August 26 in Donetsk. The winner of Balzsay vs. Kashtanov will then have to defend his title against Dimitri Sartison, as soon as he is able to step back in the ring again. The WBA super champion in this division is the current Super-Six finalist Andre Ward.